Today we are excited to make the announcement that Tech North has joined Code Club as a Supporting Partner for 2016, hooray! Tech North is a government-funded initiative whose mission is to accelerate the development of the North’s digital economy. Their team is particularly focused on the seven cities of Hull, Leeds, Liverpool, Manchester, Newcastle, Sheffield and Sunderland. 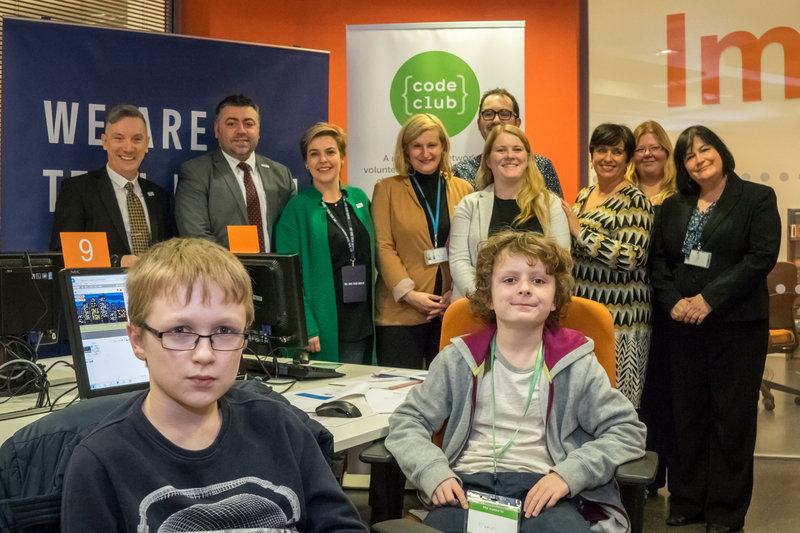 They joined us this week at a Code Club being run by a group of volunteers at Liverpool’s Central Library to launch the partnership. We’re looking forward to working with Tech North over the next year and thank them for choosing Code Club as a partner. To find out more about their work, you can visit their website here. During 2015, Code Clubs have been created in a further 1295 schools, libraries and community venues in the UK, bringing the total number to 3472 by the end of December 2015. We’re working hard to ensure children from all regions and backgrounds have access to Code Club – at the moment the regions we are strongest in are the North West, East Anglia, London and the South East. With an average of 14 children per club, Code Club is currently reaching over 75,000 children – including 40% girls. We hope these girls will continue their Computing journey in secondary school and that this will help close the GCSE and A-Level Computing gender gap. In 2015 we began to increase the numbers of Code Clubs set in libraries. We also developed a partnership with the Society of Chief Librarians to support the Digital strand of their Universal Learning Offer. Our biggest news of the year was our merger with the Raspberry Pi Foundation, which will see our two organisations working together to help many more young people learn how to build their ideas with code. In the Spring term we began an evaluation process with the National Foundation for Educational Research (NFER). The aim of the evaluation is to explore the impact of Code Club on pupils’ coding and computing skills, as well as the development of transferable skills and their attitudes and aspirations towards coding and computing. As part of the evaluation, children were asked to complete a coding quiz, attitude survey and computational thinking challenge at the start of the programme, and they will complete them again in July 2016, so that their progress can be assessed. We will be publicising the results of this first assessment in Autumn 2016. Over the summer term, we re-designed the Code Club Projects site, adding loads of useful info about the specific skills that are covered in our projects and lots of other lovely educational stuff. We streamlined our registration process and adjusted the way that volunteers, club hosts and children in clubs access our projects page, introducing the Club ID and PIN system. In autumn we implemented some changes to our Teacher Training programme which has reached over 1300 teachers across the UK. We updated the Teacher Training materials, focussing on creating more interactive sessions to increase participation from the teachers. Programming: using scratch to create a chatbot, interactive learning for the KS2 programming aspects and unplugged ideas for classroom activities. Networks and the Internet: learning to use HTML (the ‘language’ of websites), how the internet actually works and the principles of searching the web. Sessions are now free at the point of access for teachers. Teachers can register for training through our website and we will set up the session as and when we secure funding. As a not-for-profit, we rely on financial support to run our teacher training programme – and we hope this new approach will offer more opportunities to reach more teachers and children across the UK. Code Club has grown internationally over the past year. We have brought on board four countries which already have an established presence and activity – with a significant number of Code Clubs being run. These are Australia, New Zealand, Brazil and Ukraine who between them run over 700 Code Clubs. In September we ran our first application process for new countries to join the Code Club family. We welcomed Country Coordinators for another four countries – Poland, France, Spain and Canada – who will be looking to establish more Code Clubs and secure funding for their operations. In the next year, Code Club will accelerate their growth to continue to increase the number of clubs in the UK. We will launch new campaigns to help raise awareness of Code Club’s activity with the general public. We’ll continue to create new special projects and activities for children, teachers and volunteers. During 2016 and beyond we will seek to strengthen the focus of the Teacher Training programme and build school and teacher engagement. We will deliver a comprehensive programme of CPD to primary teachers, and, in response to teacher demand, will provide more activity ideas and cross curricular work. We will be working next year to continue Code Club’s global growth. We have invited 10 countries to apply for Code Club’s second cohort in our international onboarding programme, which will begin early next year. We will also organise our first ever Global Summit, where the Code Club community across the world will meet for the first time. We’re always keen to get more parents involved in running Code Clubs at their children’s school. Here we profile two amazing parent volunteers who are currently leading a Code Club. They share how simple and rewarding it has been for them to take part in their school community by helping to give children the opportunity to learn to code. At Firfield Primary School in Derby, three parents, Jas, Amanda and Ian, have been working together to run a weekly Code Club after school for the past 3 months, with some assistance from one of the school’s teachers. J as then attended a local Code Club meetup in Derby, and was convinced to start up a club in her children’s school. While chatting in the school playground, Jas also managed to convince her friend Amanda to help her run the club. 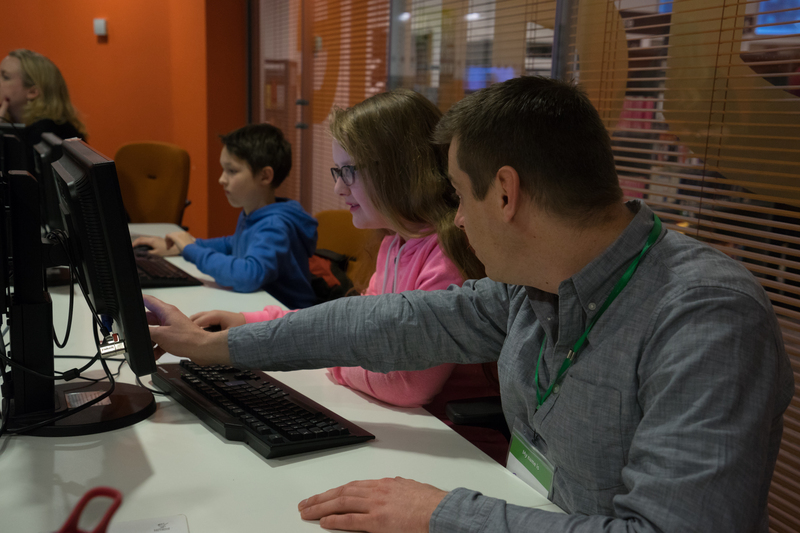 Do you think that you could join parents like Jas and Amanda to run your own Code Club? Find out more about getting started on our website.